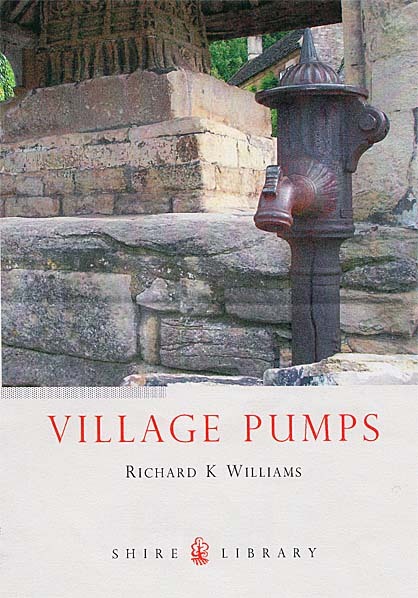 VILLAGE PUMPS - THE BOOK. Since establishing this website back in 2006, I've been really surprised by the growing number of people, societies and parish councils contacting me, either contributing photos and details of their local pumps or requesting advice on how to preserve and renovate them. So it seemed to me that a book might be the answer, and Shire Books responded enthusiastically to my suggestion. After much additional research, the painstaking production of over 100 images - including identifying and selecting some marvellous old photographs, and with a lot of helpful advice from my editor, the book was finally published in May 2009. Although Shire Books publications can be difficult to find in the High St stores, it's easily available via the major Internet suppliers, and of course direct from Shire Books themselves.